Welcome to the 2016 – Spring Scavenger Hunt! What are you hunting for, you may ask? Fun! Excitement! Bonus Content for Nowhere Wild! PRIZES! On this hunt, you not only get access to exclusive content from each participating YA author, you also get a secret number. 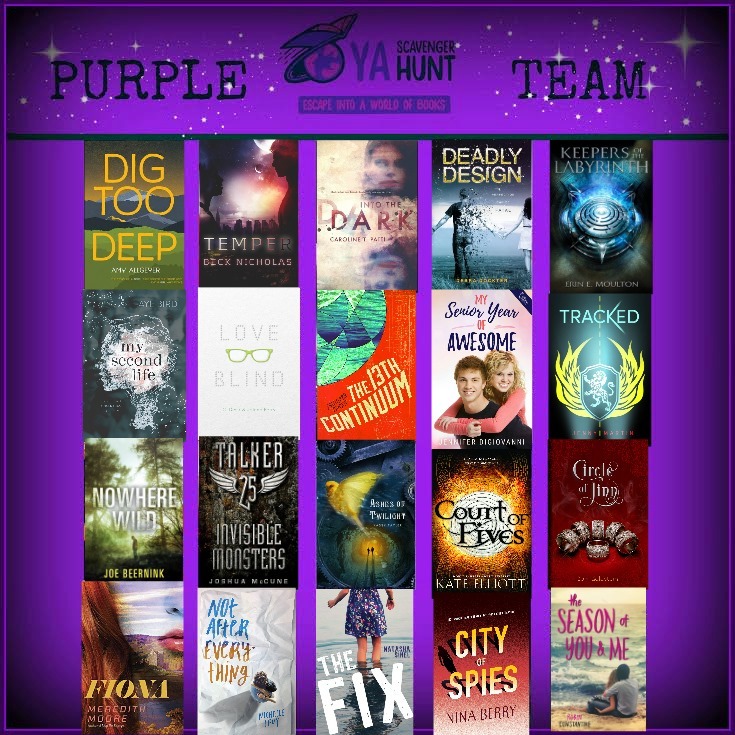 Add up the numbers, and enter it for a chance to win a major prize–one lucky winner will receive at least one signed book from each author on my team in the hunt! But play fast. This contest (and all the exclusive bonus material) will only be online until noon PST on Sunday, April 3rd! There are NINE contests going on simultaneously, and you can enter one or all! I am a part of the PURPLE TEAM, but there is also a RED TEAM, BLUE TEAM, GOLD TEAM, ORANGE TEAM, PINK TEAM, SILVER TEAM, TEAL TEAM, & GREEN TEAM! Check out each team for a chance to win eight different sets of signed books! Quite the collection of books there. 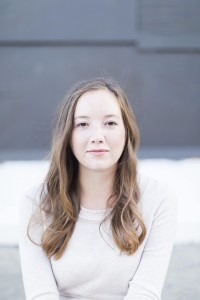 My job now is to introduce you to Meredith Moore, and her book, Fiona. Meredith writes YA contemporary gothic thrillers about girls who are trying to figure out who they are and who they want to be. She loves lattes, road trips, 19th century British novels, rainy days with cozy blankets and hot mugs of tea, early modern history, unwieldy stacks of books, the Scottish Highlands, and London. She grew up in Houston, Texas, where she lives now, but spent several years in the Northeast, earning a degree in history at Harvard and working in publishing in New York. Music plays a large part in my new book, FIONA. Fee is a pianist, like her Scottish mother before her. Her mother commits suicide when Fee is twelve, and playing the piano becomes Fee’s emotional release. It’s how she expresses herself, how she finds comfort. After her mother’s death, Fee moves to a dusty West Texas town with an aunt who doesn’t want her. She’s about to graduate high school, desperate to find a way out, when her mother’s best friend from childhood invites her to work as an au pair for her eleven-year-old daughter, Poppy, at their castle in the Scottish Highlands. Fee jumps at the chance, but before she arrives, Poppy’s parents both die in a car crash. When Fee arrives at the castle, she begins to fall for Charlie, the older brother of her orphaned charge. He discovers her talent at the piano and suggests an exchange: for every song that she plays for him, he’ll tell her a secret. The two of them grow closer as Fiona plays him songs that remind her of her mother, and he reveals his doubts and fears now that he’s taken over his father’s business and Poppy’s care. I took piano lessons when I was in elementary school, but I was never drawn to music the way Fiona is, and I happily quit after a few years. Writing has always been my preferred emotional conduit. So it was fascinating to explore the world through the view of someone so attached to music, to figure out what songs would be meaningful to her, both classical and contemporary. I listened to a lot of music while writing this book, and I’ve created a playlist of my favorites. Some of these are songs that Fiona actually plays for Charlie in the book, and some are songs that I listened to while writing to help me get inside her head. Hope you enjoy! 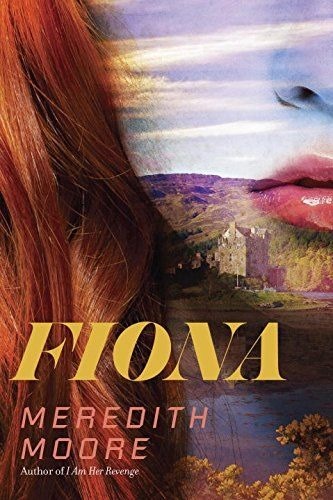 Please add Meredith’s Book Fiona to your Goodreads List, or heck, just go out and buy it today! Amazon | B&N | IndieBound | The Book Depository. 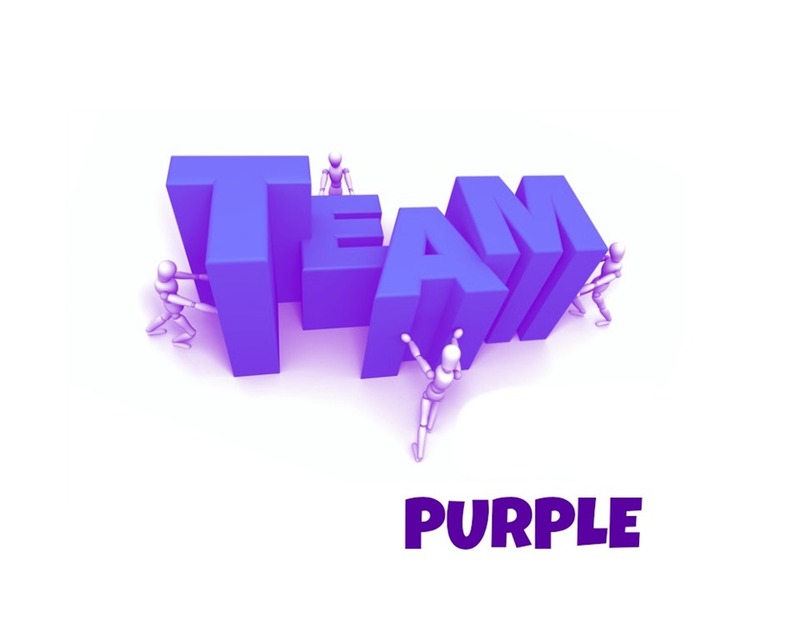 I can think of 98121 reasons PURPLE is the best, but I’m sure that’s coming up short, and likely to make the other teams jealous. It’s now up to you, dear reader, to prove me right! To continue your Scavenger Hunt, please take a trip over to author Erin E. Moulton’s site! Have a Wild time!